Cost: $20 registration fee per WA Graduate or WA Dad. This includes a commemorative playing shirt and Chick-Fil-A for dinner. Each December, Western’s graduating classes (2012 - 2018) field teams to battle in 7-on-7 touch football with their teachers on our beloved Campus and have dinner with families. 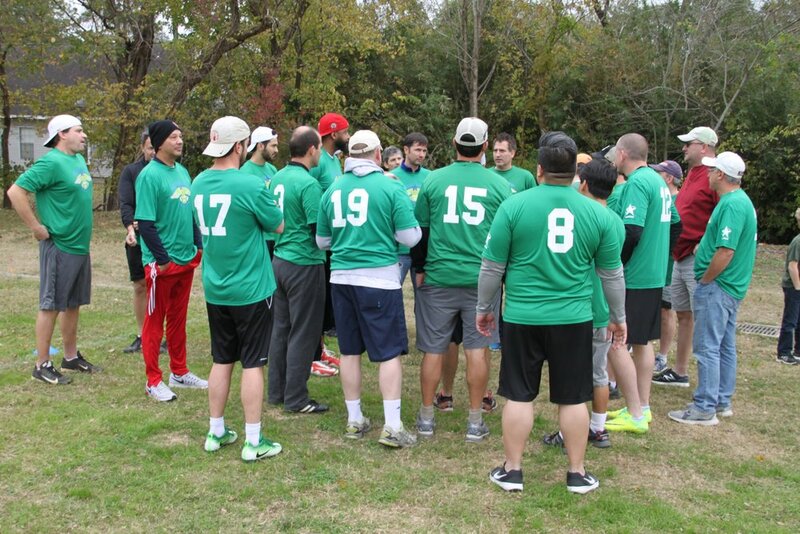 Faculty and dads form teams to join in the competition. Five rounds of play wind up in a championship game and the awarding of the golden football award to the winning team’s MVP. The men are joined by family members at 4.15 pm for dinner provided by Chick-Fil-A (cash required for dinner). 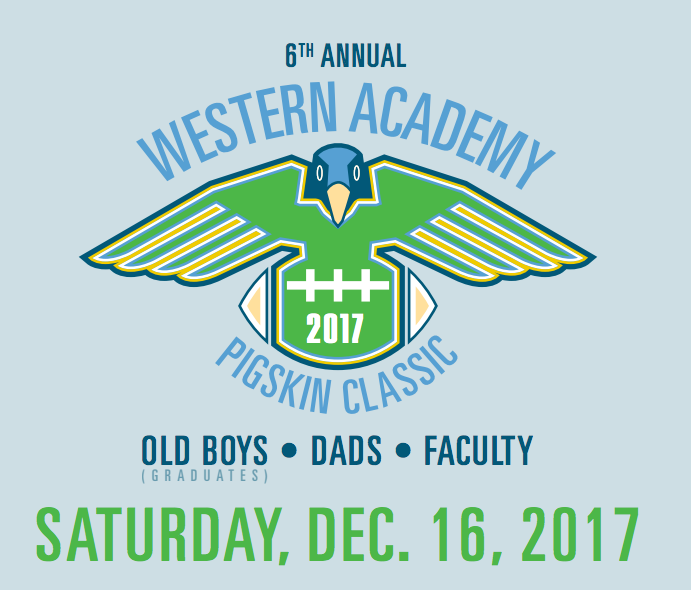 This year’s 7-on-7 Pigskin Classic on December 16 featured teams from all six graduating classes (2012-2017), a big dads' team, and a strong faculty team. After several competitive rounds of play, the combined Class of 2012-2013 team defeated the Class of 2015 to claim the championship title for this year's Pig Skin. Chris Gosselin was awarded the golden football as the MVP of the game by Mr. John Rocha (in from Arkansas) last year’s winner. Well done, graduates! This year’s 7-on-7 Pigskin Classic on December 15th featured teams from all five graduating classes (2012-2016), a big dad’s team with 17 players (dads of alumni and current Green Jays) and a big Faculty team comprised of 12 teachers (and one former teacher, Ben Cramer). After five rounds of play, the Faculty team defeated the Class of 2012 (boys now in college). The winning touchdown “Hail Mary” pass caught by Mr. John Rocha, who was awarded the golden football MVP of the game. Even though the Rocha’s are now moving to Arkansas, John will now have to return for next year ’s Pigskin to award next year’s MVP winner.